Dr. Donnelly is a sport psychotherapist specializing in performance enhancement for golfers and all types of athletes. Her expertise has been touted in the United States as well as abroad. She works with both elite and recreational athletes to improve their performance through such techniques as simulating the zone, creating a sense of flow, goal-setting, relaxation, positive self-talk, thought stoppage and enhanced concentration. Listed in the golfdigest.com registry of mental gurus, Dr. Donnelly received her Ph.D from the University of Connecticut. As an expert in the psychology of sport and leisure, she presents seminars for professionals and conducts workshops on sport psychology. She has conducted seminal research on the transfer of achievement skills between sport and academia, demonstrating that the lessons learned on the playing field are also life lessons. She has appeared on national television shows, including CBS This Morning, writes columns on sport psychology for newspapers and magazines, has appeared on numerous radio programs and has authored papers presented at academic conferences. One such paper, presented at the World Scientific Congress of Golf in St. Andrews, Scotland, focused on the introduction of golf to children. Using evidence-based research, she demonstrated a sequence of how and when children should learn various aspects of the game. She also explored the importance of intrinsic motivation as opposed to the usual extrinsic-reward-based model. Dr. Donnelly is a certified yoga instructor and is trained in Mindful Yoga Therapy for veterans coping with trauma and is a certified Veterans Yoga Project Instructor. 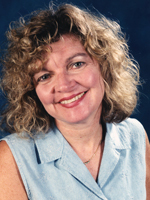 She is also a certified health coach specializing in holistic nutrition. She incorporates nutrition and mindfulness techniques in her coaching for optimal performance. Dr. Donnelly is also a board member and contributor to The Annual Review of Golf Coaching, is a member of AASP (Association of Applied Sport Psychology), of IAHC (International Association for Health Coaches), and of Phi Kappa Phi Honor Society. She is a certified yoga instructor with Yoga Alliance. Raised in Lakeville, MA, and beginning her golf career near age 4, Nicole Weller rose through youth golf and women’s amateur golf rankings to play on scholarship at Wake Forest University, where she earned her B.S. in Psychology (’94). Nicole followed up her collegiate career with a Master’s Degree in sport psychology at the University of Tennessee-Knoxville (’95) and proceeded to enter into both the LPGA T&CP and PGA of America certification programs while working as an assistant professional at Cherokee Country Club and Fairways and Green Golf Center in Knoxville. She grew the LPGA*USGA Girls Golf chapter there from 15 to nearly 80 girls ages 4-17 before moving to Savannah, GA, with her husband (PGA member and Head Golf Professional Ty Weller), where she works with members and their guests at The Landings Club as Head Teaching Professional and is responsible for all golf education programs at the Club. 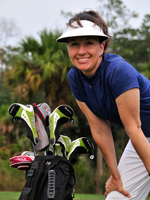 Nicole is a Class A member of the PGA of America and the LPGA T&CP, as well as a member of Proponent Group. She is SNAG, TPI and U.S. Kids Golf Certified and is a staff ambassador for The Littlest Golfer, as well as serving on the 2013-2014 PGA National Youth Player Development Committee under Chair Allen Wronowski. Having authored the first-ever golf sticker reward book for children ages 4-8+ in 2011 and expanded into related Match Play Golf educational flashcard memory games in 2014, Nicole is the first duo award recipient in the same year for both the PGA and LPGA Junior Golf leader Awards (2013). She has earned other honors, including GRAA Top 50 Growth of the Game Teacher, U.S. Kids Golf Master Kids Teacher, Georgia PGA Horton Smith Section Award, Golf Digest Best 50 Women Teachers, Golf Digest Best Young Teacher, Golf Digest Top Teacher in the State, LPGA T&CP Southeast Junior Golf Leader and Teacher of the Year and Georgia PGA East Chapter Teacher of the Year. For further information, visit www.nicoleweller.com.